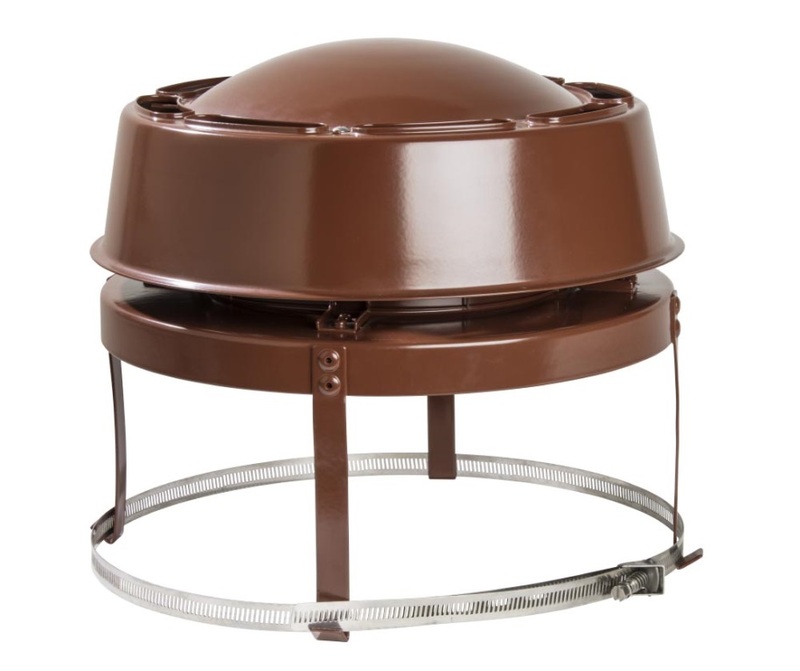 The Econotop is the newest member of the Colt Cowl family and has been specially designed to be a low-cost and effective anti-downdraught cowl ideal for your chimney system. Its aerodynamic design is thoughtfully crafted to prevent downdraught as well as promote updraught. The Econotop is an all-purpose cowl meaning that it prevents rain and bird entry and is suitable for use on all fuels. In fact, it is designed primarily to be a smaller brother to the Colt Top All Purpose. The Econotop attaches to your chimney using a stainless steel jubilee strap fixing which fastens securely to the outside of your chimney pot and sits snugly on the rim. It is designed for pots of 160mm to 250mm internal diameter. The Econotop has a compact design making it not much larger than your average chimney pot, this makes the cowl aesthetically pleasing and its terracotta colouring helps it blend in. The smaller design means that less material is used making it cheaper to manufacture. This is how it is possible to release the product to the market at its competitive price.The Econotop offers amazing value for money and comes with free next working day delivery. Please call 0870 241 1041 to speak to our sales team who can deal with any query you may have.